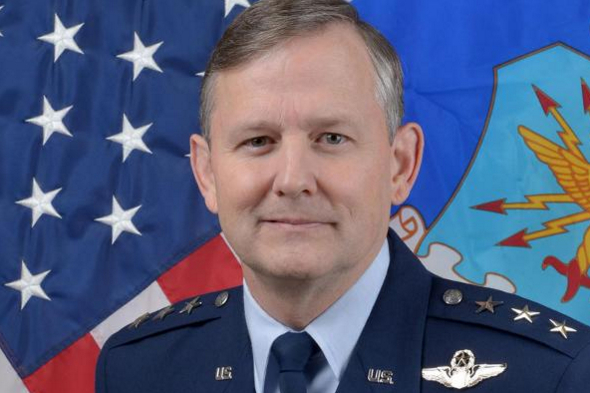 WASHINGTON — A senior Air Force general officer has been fired from his job and will retire after an investigation found that he had an inappropriate and unprofessional relationship with a lower-ranking female Air Force officer. The Air Force released an investigation Thursday saying that Lt. Gen. John Hesterman, the assistant vice chief of staff, was found guilty of misconduct. The charges stem from several groups of emails he exchanged with an Air force Lieutenant Colonel during 2010-2011. Hesterman told investigators that he didn’t recall some of the exchanges and that he didn’t remember being that friendly. According to the investigation, there were email exchanges between the two officers when both were based at Royal Air Force Lakenheath in England, where the U.S. has a military presence. Other more recent exchanges were when he was stationed at the Pentagon and later when he was deployed to Qatar and she was living in Virginia. The Lieutenant Colonel’s name was redacted from the report. The investigation also concluded that Hesterman was engaged in an inappropriate relationship that “seriously compromised his standing as an officer.” It did not find proof of any sexual relations between the two officers, although there were allegations of inappropriate touching. Since Hesterman was a major general at the time of the emails, the Air Force is doing a review into whether he would be allowed to retire at his current level of a three-star Lieutenant General or if his retirement would be cut to a lower rank. Under military guidelines, an officer can be demoted by one step from the rank he held when the misconduct occurred. So, the Air Force could force Hesterman to retire at the rank of one star, or Brigadier General. Be the first to comment on "Air Force 3-Star Fired Over Inappropriate Relationship"